Art DeTour: Melanie Wood | Oh, the Places We See . . . 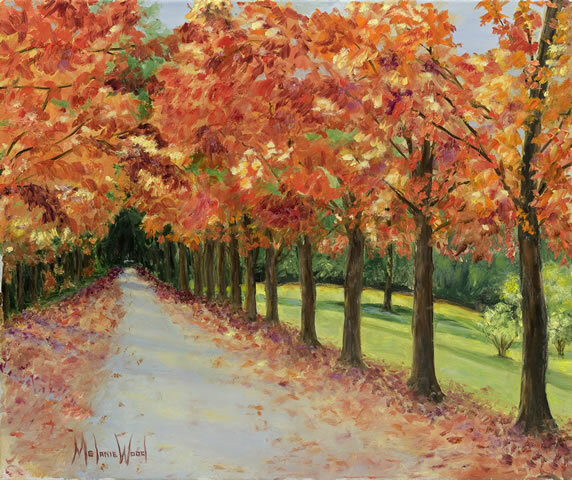 Note to readers: We are re-publishing this post from May 12, 2012, on the Art DeTour we took visiting the lovely studio and home of artist Melanie Wood. 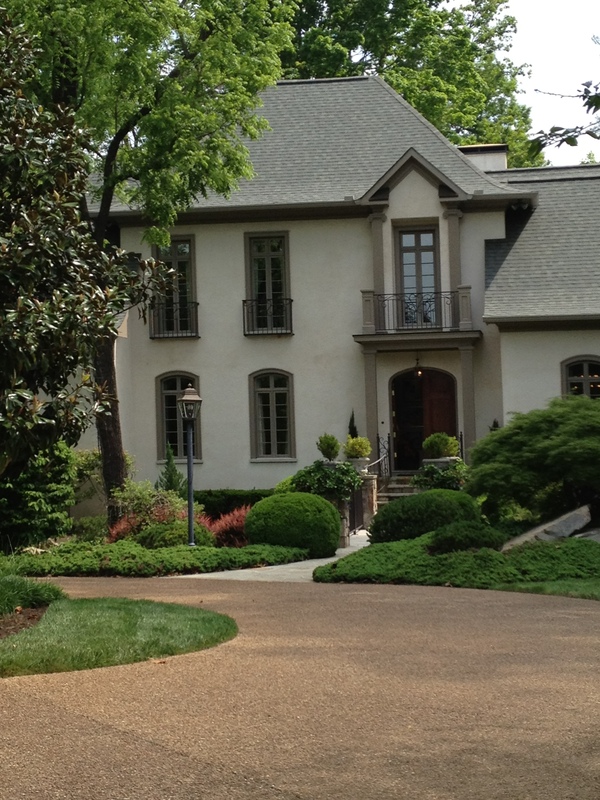 Her home is open again for Dogwood Art DeTour 2015 on April 11 and 12. 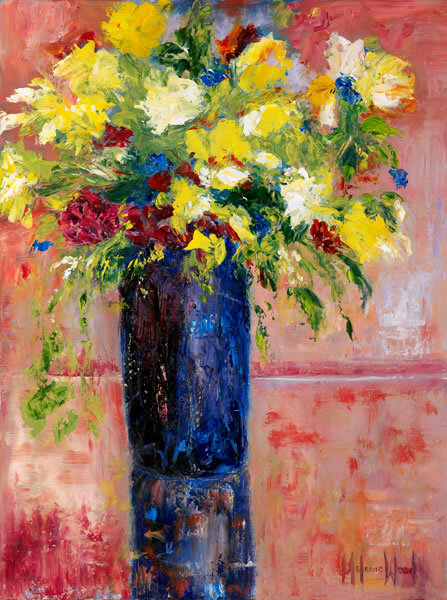 If you love quality impressionistic art filled with color, you’ll love seeing what Melanie has produced. A map and listing of all artist studios open (and there are many!!) this year, please click here. The Dogwood Arts Festival website has it all, and there’s a lot to do and see this weekend. Last year, Bert and I visited an artist’s studio — the studio AND home — of Melanie Wood during Knoxville’s Dogwood Arts Festival. 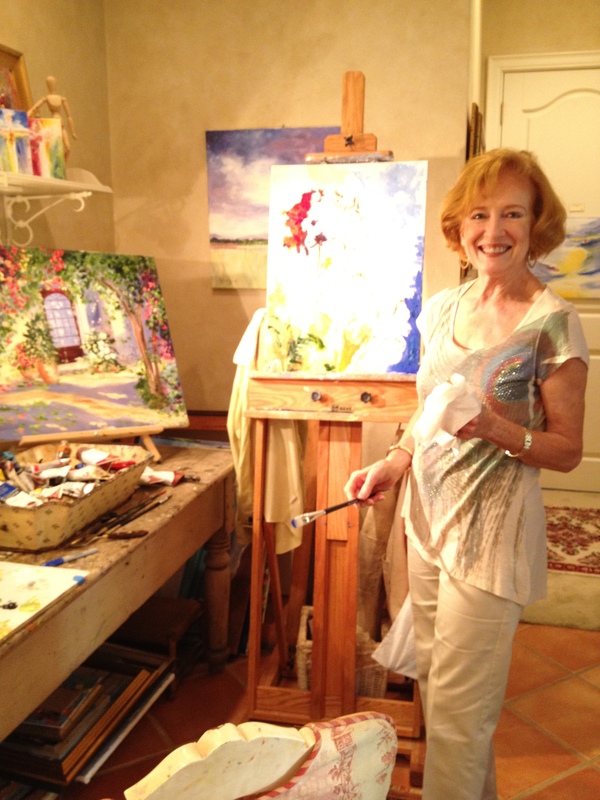 So, when the Art DeTour brochure arrived in our mailbox this year, we were delighted to see that she had once again opened the door to her colorful world of impressionist art! I took Pat Medley this time around, because Pat loves anything related to the lovely countryside of France, and Melanie’s subject matter spans two continents from the fertile land of Provence to the shores of Hilton Head, South Carolina. I also knew Pat would enjoy seeing the home of Melanie and Tom Wood filled with antiques collected during their travels and visits with their daughter who lived in France. According to her website, Melanie grew up in Texas, the granddaughter of a celebrated artist. 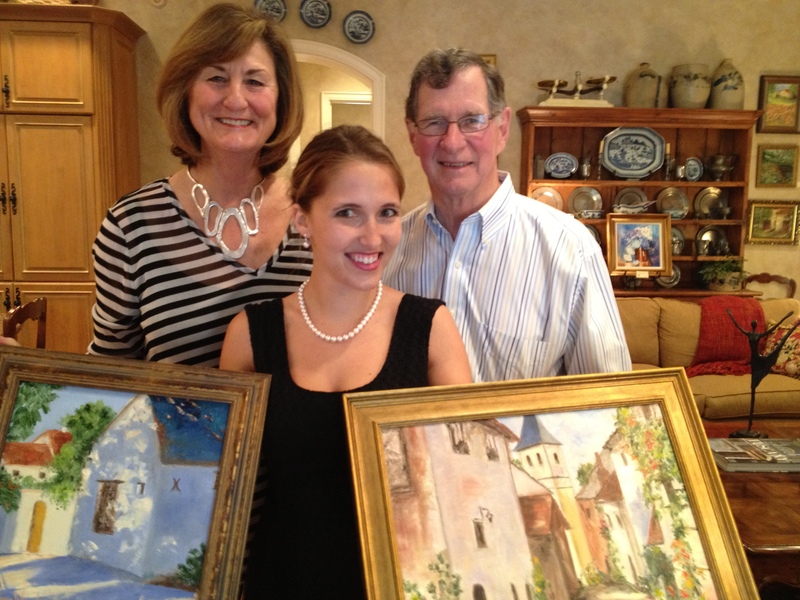 The tradition has continued since Melanie’s daughter Amber followed in her mother’s footsteps pursuing a fine arts degree. 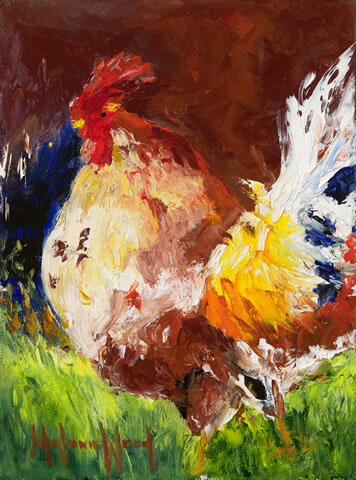 Melanie led us to her studio through the kitchen where she had displayed some of her favorite subjects — like colorful chickens — seen during her travels. Melanie (interior designer, colorist, and former president of the Color Marketing Group, an international association for color design professionals) is right at home in her studio at the back of the house where she looks out at neat plantings in her courtyard and colorful potted annuals during this time of the year. 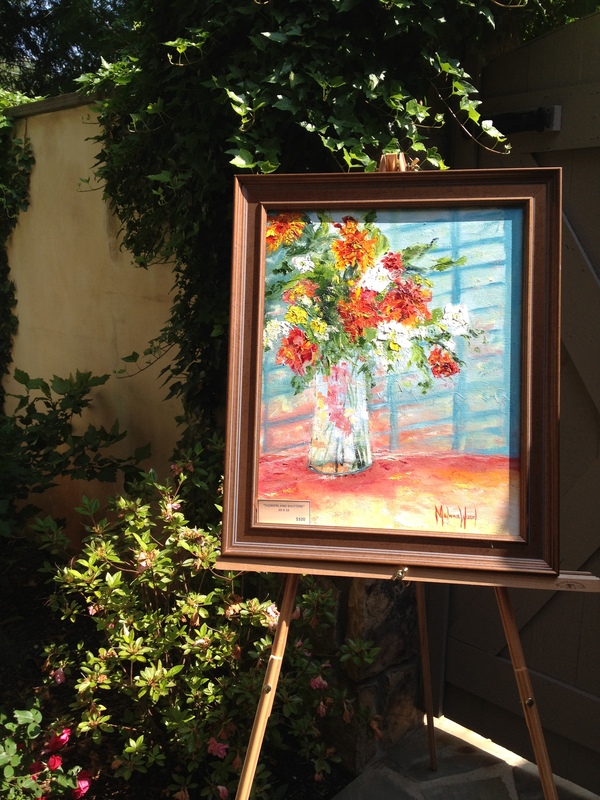 We watched as she began painting red geraniums sitting on a wrought iron table right outside the door. 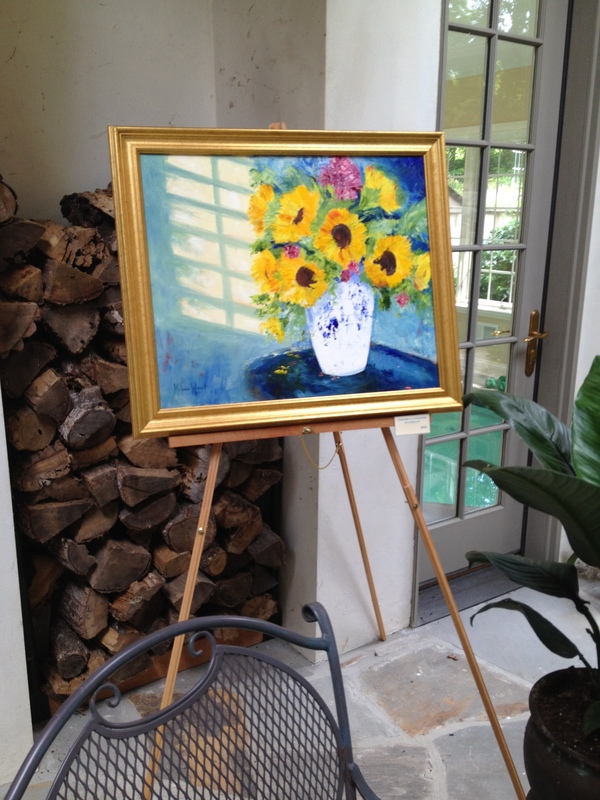 In the courtyard (and throughout the downstairs of the house), Melanie had set up easels to display her scenes of France and colorful bouquets of summer flowers. 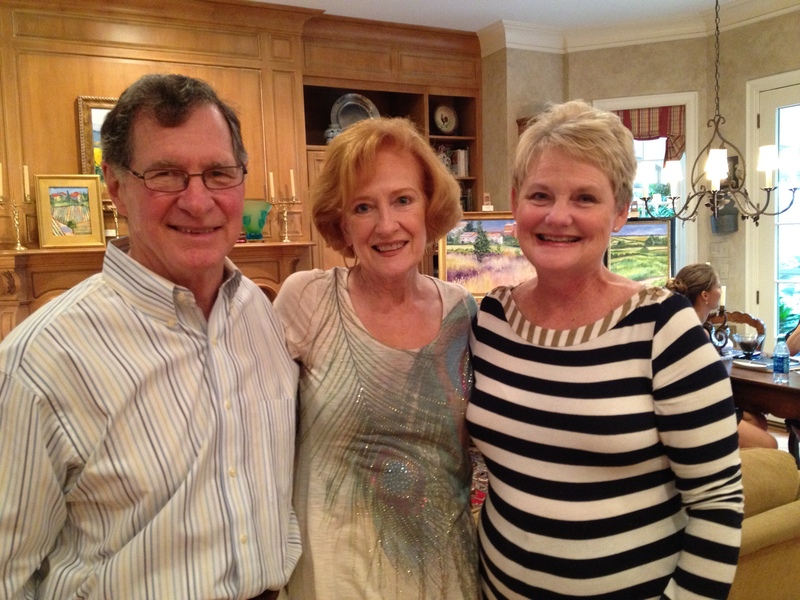 Her husband Tom shared his love of antique clocks, Oriental rugs, and primitives with us. 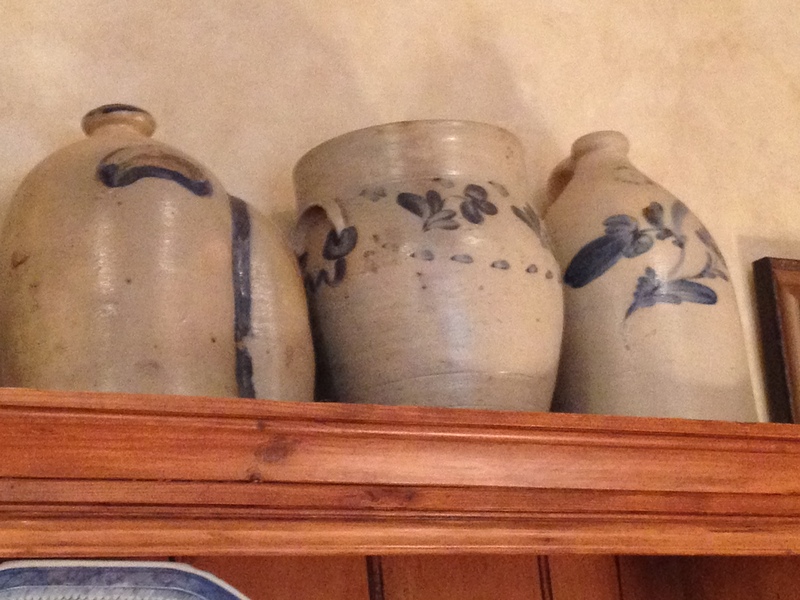 These blue painted crocks caught my eye, especially the one on the far left — puzzling me with its bulging front. What was that one used for, Tom? I asked. He smiled and answered, Why that’s a chicken feeder! There’s a hole in the front of that crock! We were quite impressed with Melanie’s range of abilities: She not only is accomplished at painting flowers and landscapes — she can capture the expressions of people quite well, too. Here are several of our favorites. After spending quality time admiring each piece, we settled on these two: the one on the left is now mine — Afternoon Shadows in Sauveterre — and the one on the right depicting a favorite little town in France has found its way to the Medleys’ home: Village of Roussillion. Bobbie Helms, Jillian Morse and Tom Wood seem pleased with the ones we selected! If you go to Melanie’s website, you’ll see many more examples of her work, like these three favorites of mine. 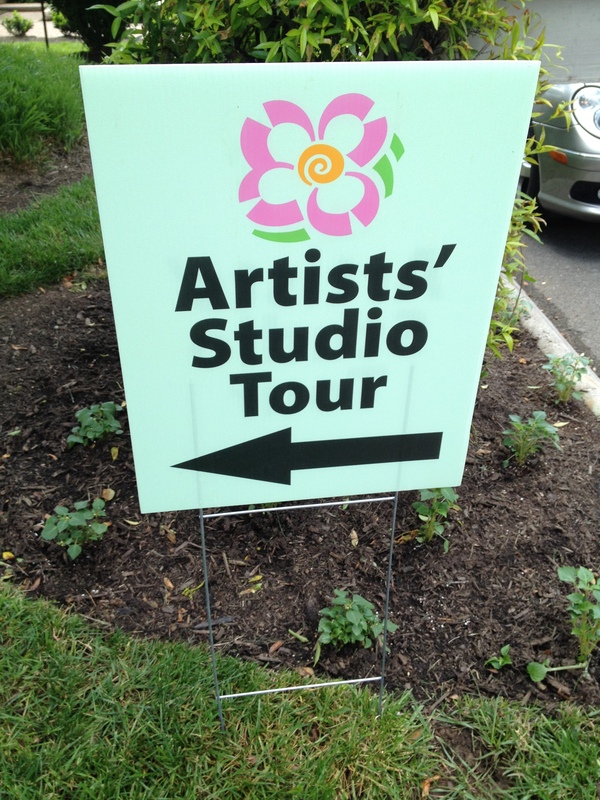 Don’t pass up an opportunity to tour an artist’s home or studio next year for the Dogwood Arts Festival, if Art DeTour is repeated! You’ll see — Knoxville is an artist haven! 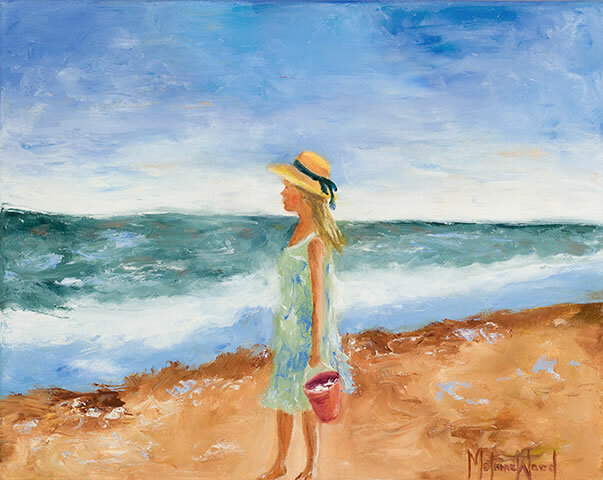 Melanie’s art can be seen in Knoxville at Upstairs and in Hilton Head at Smith Galleries. This entry was posted in Tennessee, Travel and tagged art, Dogwood Arts, Knoxville. Bookmark the permalink. Thanks so much, Judy. What a pleasure it has been to return to some artists’ studios (Melanie Wood, for example) and find new ones like Diana Dee and others. Just reaffirms what I’ve known for years — we have a lot going on in Knoxville and not just art!!! It’s it lovely? So pretty — all her colors. But I can definitely see a new trend toward blue in her work. So nice. Thanks! 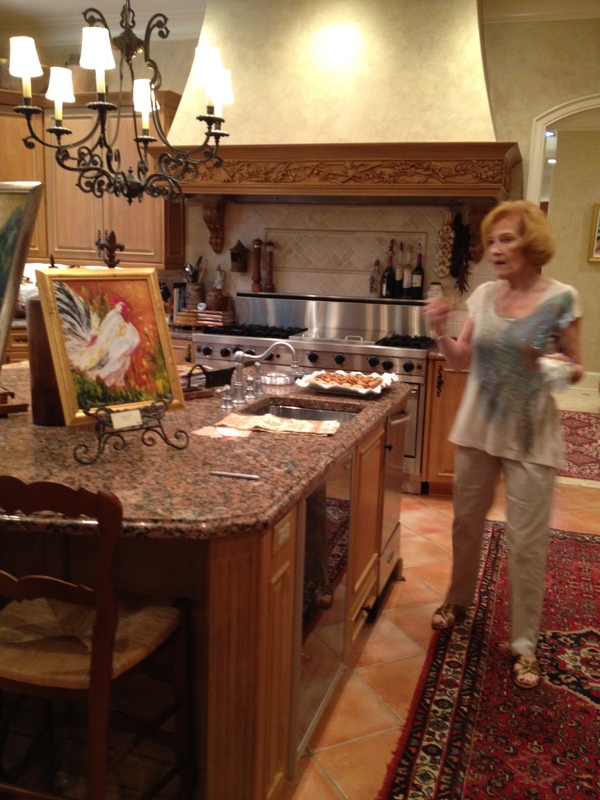 I went by yesterday to see her new paintings. Hopefully, I’ll get those on the blog soon. Appreciate the comment. Thanks for checking this out. 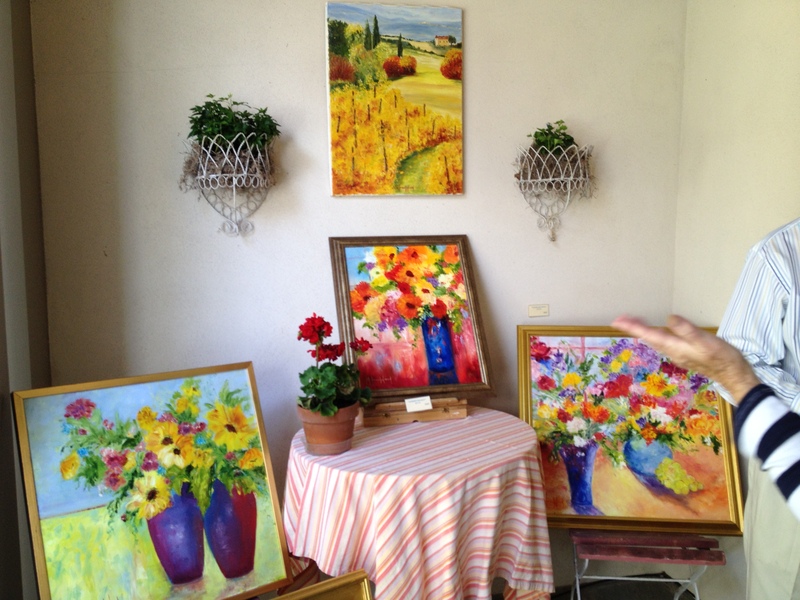 Melanie’s work is so pretty — many people in town have her paintings in their homes now. Glad you enjoyed. Melanie is a very talented artist and a fun person! We went to New York last year with Melanie and Tom and some others from Clarence Brown Theatre. Another Knoxville treasure! Thanks for posting the great pics, Rusha.